The newest lighting technology for LED in 2015 provides better ways to see ourselves and our surroundings. With this year’s introduction of High CRI LED, it is now possible to provide quality illumination that rivals the color rendition of halogen light sources combined with the efficiency of fluorescents. The recessed linear Reflections series Bath and Vanity fixtures make a beautiful and bold statement for exceptional lighting. Skin tones are rendered accurately, as are the clothes you wear. With the vertical orientation of the vanity fixtures, facial shadows and lines are greatly reduced. Start your day seeing yourself in the best light possible with Dreamscape’s Reflections Vanity fixtures. 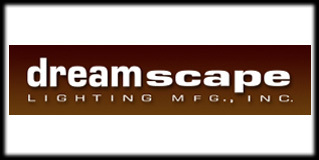 You can continue this great High CRI illumination in other areas with Dreamscape products such as the surface mount DLED-6000 series or the trimless, mud-in DLED-9000. These products are perfect for creating a wonderful ambience with general illumination of strategic task illumination such as under cabinet lighting.